One speaks of seal blisters (seal hoods) when a plastic hood is sealed against a blister card after filling. A cardboard card is provided with a special varnish, which is activated by heat contact during the sealing process and which seals the blister hood to the cardboard all the way around at the die-cutting edge. Shall we take over the production of the hood or the complete fulfilment for you? Contact us and save your resources. 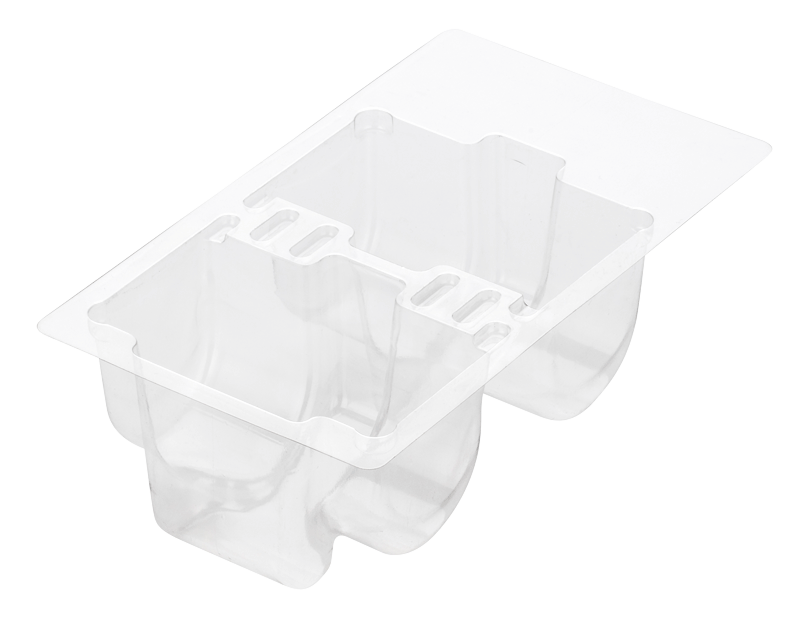 Do you need an individual packaging solution for your goods? Let us advise you without obligation! In addition to sealing blisters (sealing hoods), our portfolio also includes other types of thermoformed articles, which we manufacture according to your individual wishes. 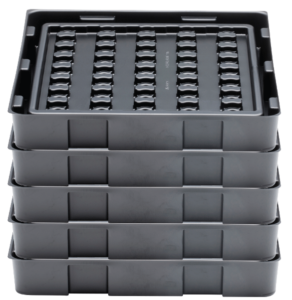 These include ESD trays and plastic trays, plastic inlays and various other workpiece carriers. We help you to solve your packaging problem.